LOCATION, LOCATION, LOCATION!! A Sensational home in a superb area! Dont miss this home! Absolutely wonderful location in the historic, cultural gem/county seat of Doylestown Borough. Three outstanding museums and a state of the art full service hospital are all located within less than a mile. Great access to New York, New Jersey, and Philadelphia via train, bus or car: Septa Train Station located within a mile - Daily service to Center City Philadelphia; Transbridge Bus Line stop located within a mile - Daily service to the Port Authority in New York City; Superhighway PA Turnpike - 15 minute drive. 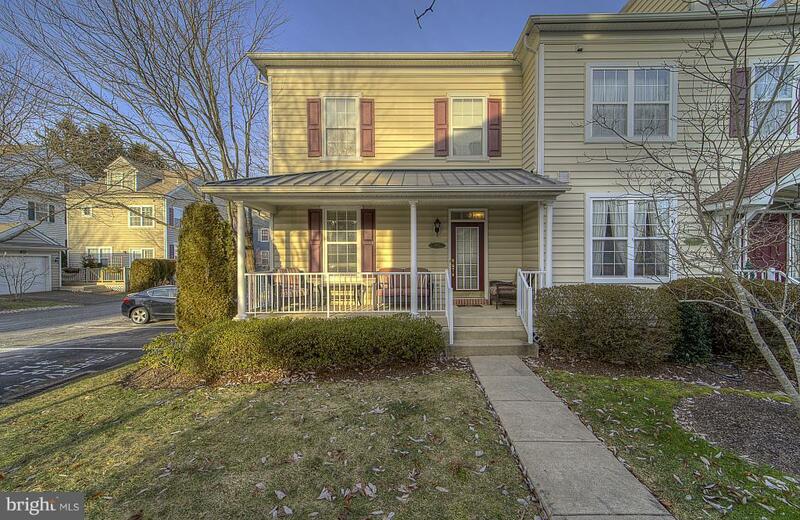 Easy walking distance to downtown Doylestown with access to restaurants, festivals, parks and much more. This remarkable Chapman Model townhome boasts pride of ownership. As you approach this home you will notice a spacious front porch. When you enter this home you will observe an inviting family room with crown molding and wonderful natural light. This leads you into the over-sized eat-in kitchen area with attractive tile backsplash beneath pine cabinetry. It includes all new stainless steel Whirlpool Kitchen appliances (Refrigerator, Microwave, Gas Range/Oven and Dishwasher) in 2016, as well as a new garbage disposal in 2018. There is a half bathroom on the main level. Upstairs you will find 3 spacious bedrooms and 2 full bathrooms, which includes a master suite with 2 walk-in closets. As you retreat to the lower level you will notice a professionally finished basement with an entertaining area and wainscoting through out. An abundant amount of storage space. A fitness center is located in the professional building in the front of the development containing free weights, treadmills, stationary bikes and stairclimbers are available to all homeowners. This home has many upgrades including a Top Brand Over-sized Central Bryant Air Conditioning Unit installed 2016, Bradford White Water Heater installed 2017, a Back up Pressure Based Sump Pump installed in 2014, Attic Fan Installed 2017 and new gutters in 2015. All neutral painting through out. Dont miss this home! HOME WARRANTY INCLUDED! !